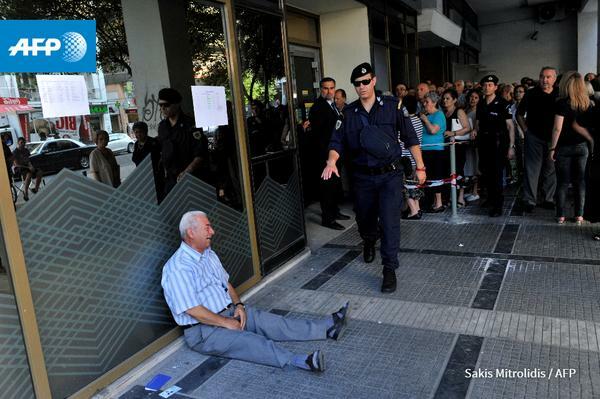 Good morning and welcome to the Greece live blog. 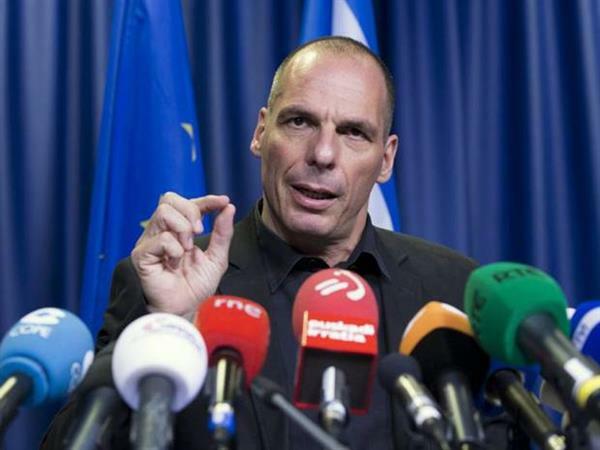 The Greek finance minister Yanis Varoufakis has appeared on Australian late night radio to explain how his country came to the point of calling a referendum. 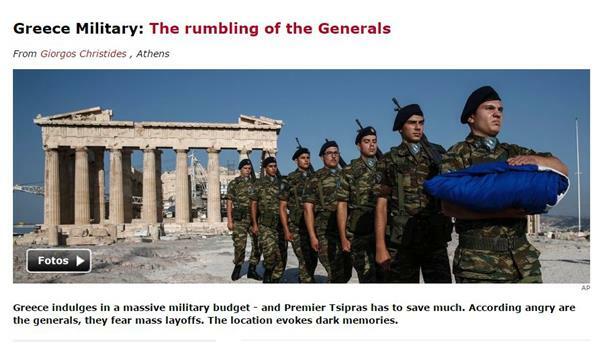 The German newspaper Der Spiegel has reactions from the Greek military on 20 per cent cuts proposed by Tsipras (available in Google translate here). Greece's military once staged a coup in 1967. Could another uprising be on the cards? One retired general said that would be impossible: "Today, the armed forces are fully democratic and dutiful." 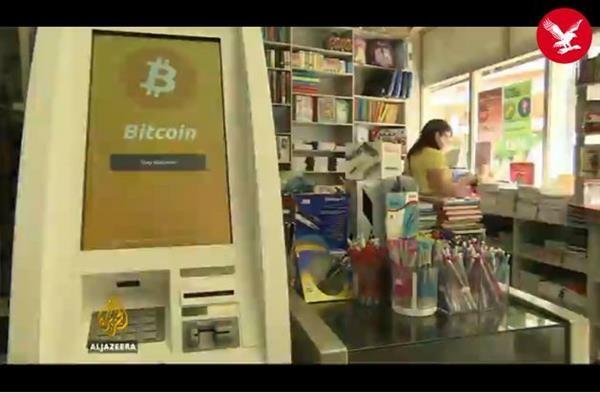 Bitcoin could be one answer to restricted cashflow in Greece, according to a report by Al Jazeera. No one is giving credit, cash is king, but scarce. Small business owners are struggling to keep trading since the banks have closed. Headlines in Greece have warned that depositer haircuts could mean that 27 and 55 per cent on the money you hold in the bank disappears. Some people are turning to Bitcoin as a safe haven. The country has a Bitcoin machine but it is still quite unusual for people to use the global currency. That could be changing: there have been 150 new registrations this week alone. Here's a helpful graph of the four polls that have been released so far. Conclusion: it's still going to be close. 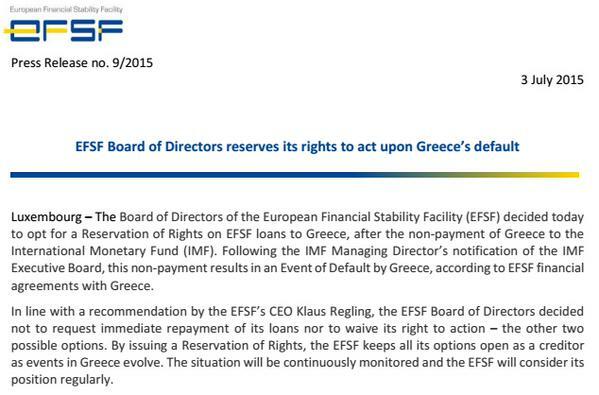 It turns out the Greek referendum could actually be illegal. 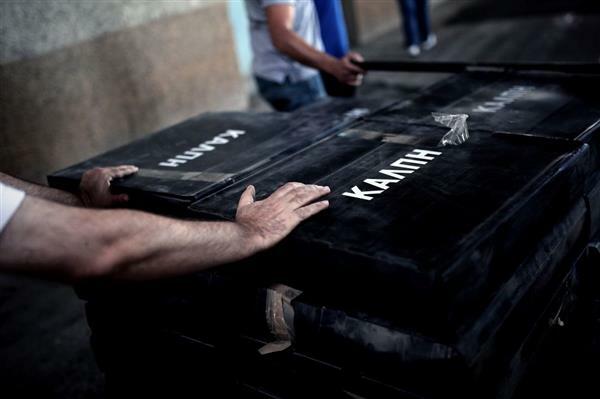 The Greek newspaper Kathimerini has reported that Greece's highest administrative court is going rule on a petition challenging the legality of the referendum. The petition argues that the question is too complicated and that it is illegal to call a referendum on public finances. A website has already been set up for Greeks to vote, including a countdown to Sunday. The website has information about the vote, but Greeks cannot vote online. They must vote at one of 19,000 polling stations. 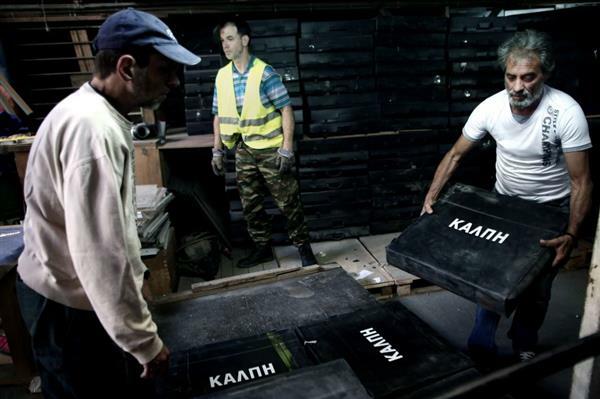 Usually Greeks vote at the polling station in the town where they were born. Greece's deputy finance minister Euclid Tsakalotos has said in Greek newspaper Kathimerini that referendum was the only option. The Syriza-led government decided that a referendum was the only way forward as the proposal submitted by Greece’s international creditors before talks collapsed on Friday “would never have been ratified by Parliament and would have brought down the government,” Alternate Minister of International Economic Relations and chief negotiator Euclid Tsakalotos told Skai television on Friday morning. Tsakalotos said that the Greek economy needs a “shock of optimism” with the removal, once and for all, of fears that Greece could be ousted from the eurozone. 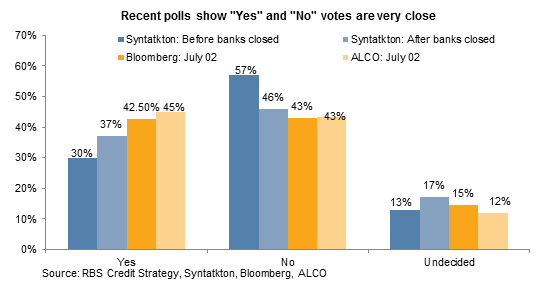 How can Greece afford a referendum? It can’t really. 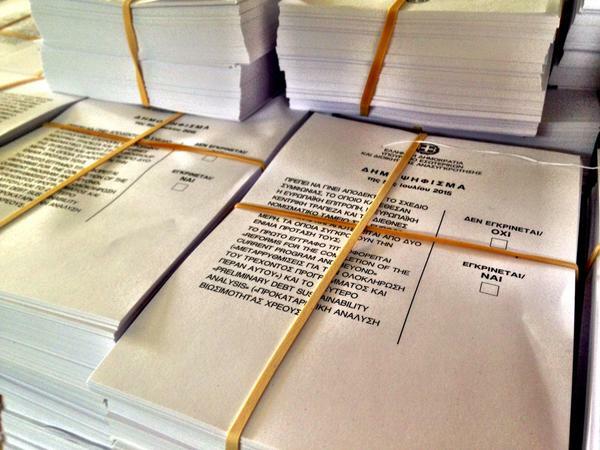 The Greek government said the referendum will cost €20m, but the real cost is likely to be more like €120m in distributing ballot papers and paying election monitors. Meanwhile Greeks may struggle to afford to travel to the region in which they were born to vote, just five months after they last voted. This is at a time when the transport sector is struggling because people have limited access to cash. 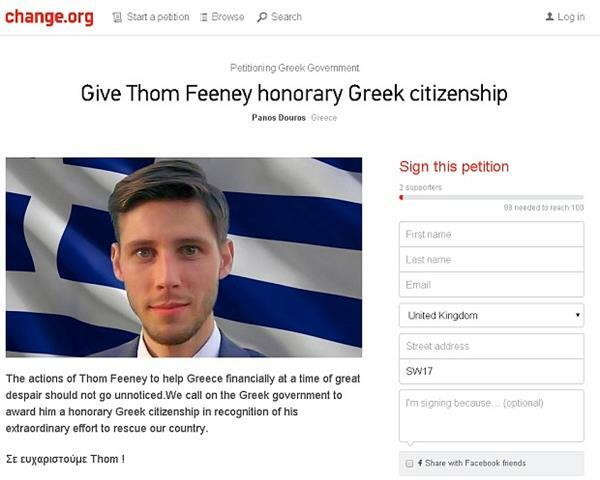 The guy that set up a campaign to crowdfund the bailout is the subject of a Change.org petition, calling for him to be made an honourary Greek citizen. Thom Feeney, who is 29 and lives in Bethnal Green, London, said he was fed up of European politicians failing to act to help the Greek people. “€1.6bn is a relatively small in the grand scheme of things,” Feeney told The Independent. “In fact, you could raise that money by everyone in the EU just having a feta and olive salad for lunch today. So far, his Indiegogo campaign has received €1.6 million, just one per cent of the total needed. Food and medicine shortages are already starting to be felt by tourists. Kathemerini has reported that the Cycladic Greek islands, where a number of tourists are holidaying, are threatened with shortages of meat and medicine because local businesses no longer have the money to pay their suppliers. Already bookings have taken a nose dive. The Association of Hellenic Tourism Enterprises has reported a drop in bookings of between 30 and 40 per cent in the last few days, amounting to 240,000 bookings in five days. In response the Cyclades Chamber of Commerce is pressuring the government to do everything in its power to avoid such shortages, which could be fatal for the tourist industry. The alternative minister for tourism Elena Koutoura said on Thursday that payments for tourism enterprises such as hotels and restaurants were being prioritised. But Kathemerini reports that hoteliers are already warning they will have to shut down, just a year after the record tourism season of 2014, which saw Greeks welcome more holidaymakers than ever. Meanwhile the main medical supplier for Greece has set up a committee to monitor the consumption of medicines in the country and guard for shortages. 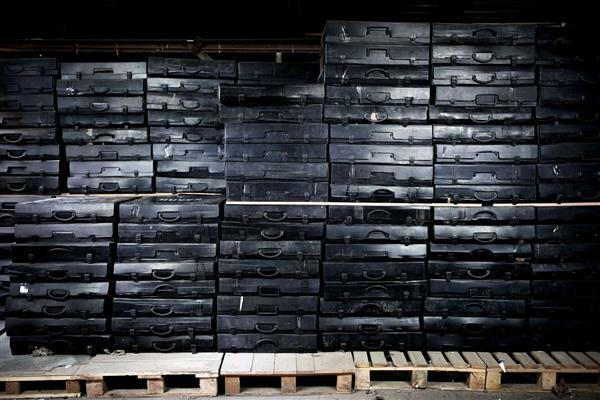 Dimitris Kontos, head of the supplier EOPYY, said that the situation was under control. Greece's biggest creditor, the European Financial Stability Facility, has said it will not be asking for immediate repayment of the €150 billion it is owed by Greece. 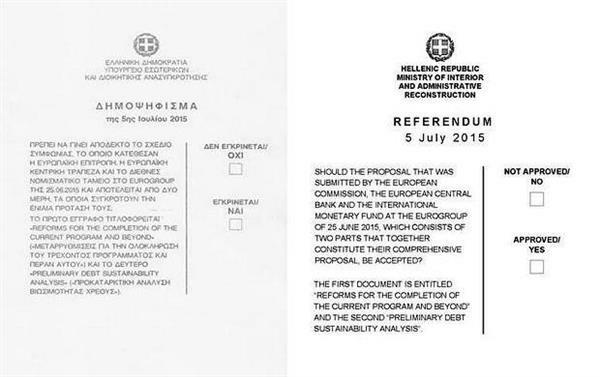 Alexis Tsipras has given a TV address in which he insisted that a 'no' vote is not a vote to return to the drachma. He has also spoken out in support of an IMF report released yesterday that stated Greece would need at least €50 billion to keep it afloat for the next three years. Yesterday an event of major political importance happened. The IMF published a report on Greece's economy which is a great vindication for the Greek government as it confirms the obvious - that Greek debt is not sustainable. Hearing reports on Twitter that the head of the Greece Banking Union has said that Greek banks have liquidity through to Monday - but after that it will be down to the ECB. It's looking less likely that the banks will reopen on Tuesday.